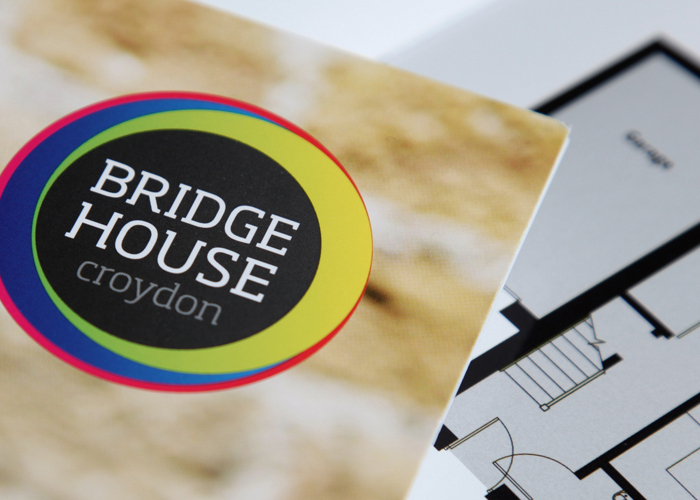 Bridge House is in the centre of Croydon with great facilities that are a few minutes away and is one of the schemes key selling points. We wanted to embrace this urban theme in the creative and support material. Having identified our target market as young male professionals we wanted to give the scheme a personality so picked a ‘face’ to lead the campaign. This approach was supported by an identity and strong colour palette that further endorsed the urban feel. 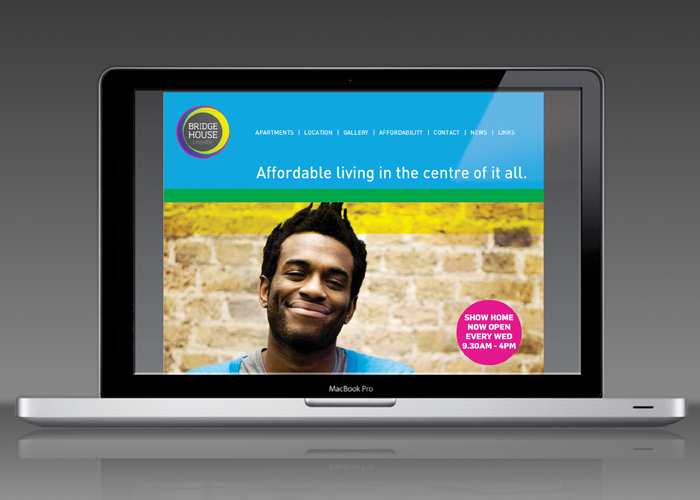 The headline message of ‘Affordable living in the centre of it all’ summed up the scheme and another key message. 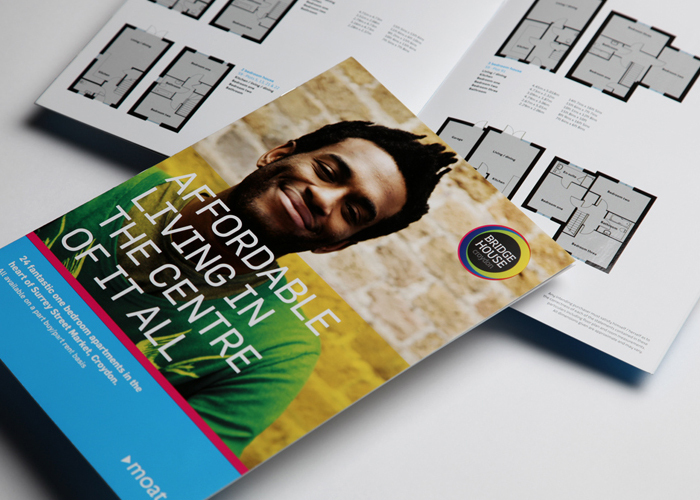 This was supported by punchy copy and photography to explain the key benefits of living at Bridge House. 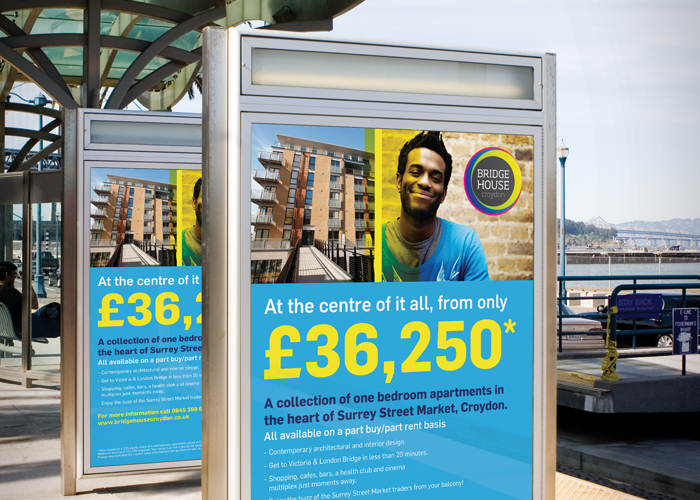 The campaign roll out covered press advertising, outdoor media, print and digital marketing.